The holidays are right around the corner and with it comes holiday shopping. 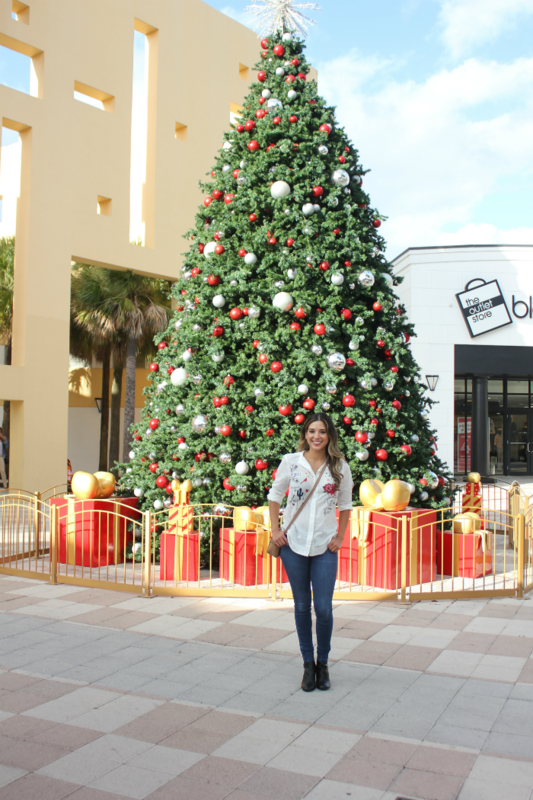 I teamed up with Sawgrass Mills, the largest outlet and value shopping destination in the U.S. to get a head start on my Christmas shopping. I've been a huge fan of this outlet mall for as long as I can remember. I use to go there all the time as a kid with my mom and my family (when they would from Colombia). Not only do they have 350 name-brand outlet stores like J.Crew, Victoria's Secret, Saks Fifth Avenue OFF Fifth and The Bloomingdale's Outlet store, but they also have 90 exclusive retailers found nowhere else in South Florida (such as Gucci, Burberry and Club Monaco!) Speaking of Club Monaco, I might have gone a little overboard and bought everything in the store haha. Leather handbags are always a good option to give that touch of luxury to any look throughout the year. These Rebecca Minkoff and Michael Kors handbags are a steal for just under $200 dollars at the Bloomingdale’s Outlet Store. These Michael Kors pom poms are the perfect stocking stuffers. Designer beauty gift sets like these nail polishes and cozy slippers will make anyone on your list feel special. You can never go wrong with a perfume or cologne when it comes to gifting. They have all the designer brands we love and covet, but without the hefty price tag. They even had my favorite—Chloe! You'll also find a Toy"R"Us outlet store at Sawgrass Mills, which is of course Andy's favorite store! This glitter skirt and ballet shoes at the J.Crew Factory store are super cute and perfect for adding some sparkle to your little ones outfit. 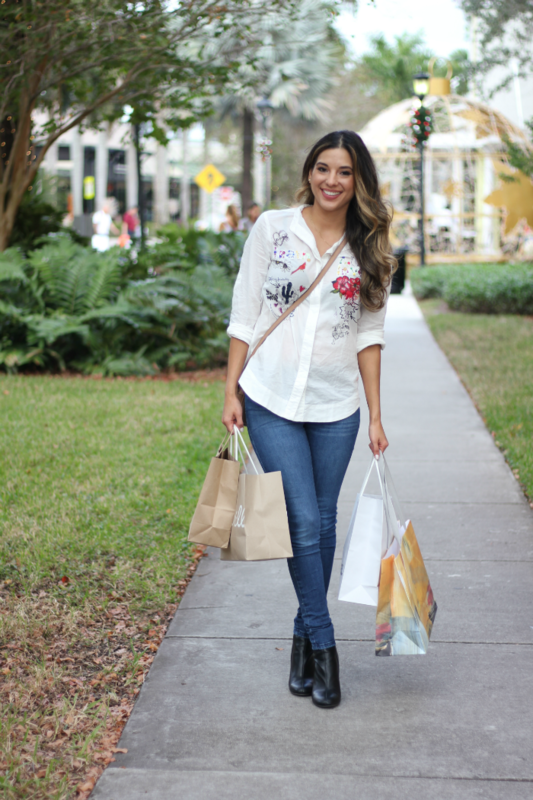 There are hundreds of stores and many great deals at Sawgrass Mills, so my advice to shoppers is to have a plan. Before visiting the mall, look up retailer deals at SawgrassMills.com. Then, make a list of where you want to shop. Once you get to the mall, take advantage of their many amenities and services that can make shopping easier. There’s a new parking garage outside of The Colonnade Outlets that offers free covered parking. Also, multilingual ambassadors can help you find the nearest food court or a specific store as well as inform you of recent deals. This post is brought to you by Sawgrass Mills. Thank you for supporting the sponsors that make this blog possible.